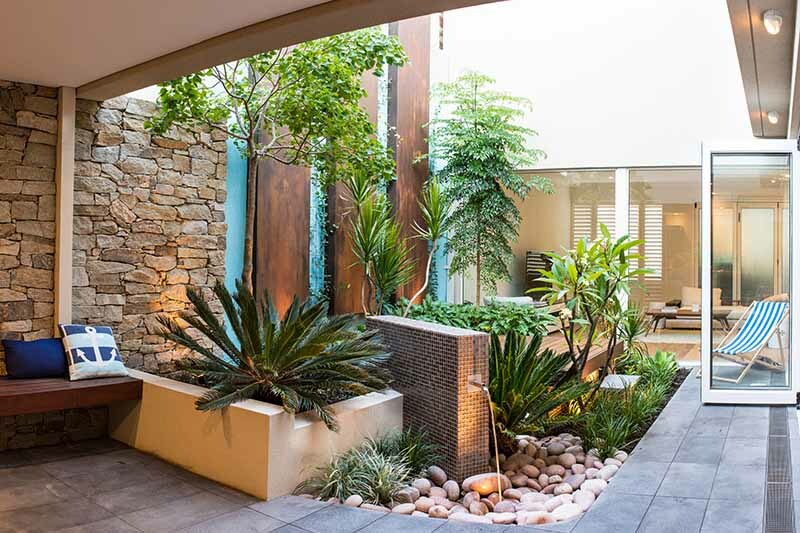 Almost right on the beach, these two distinctive spaces illustrate how, with clever design, you can create any look you choose. 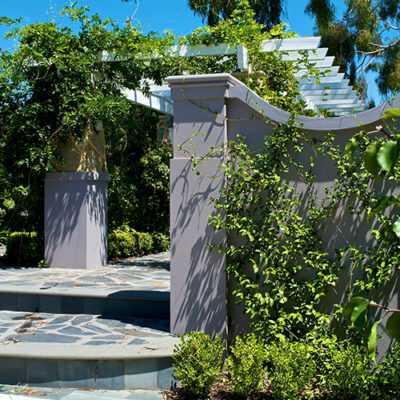 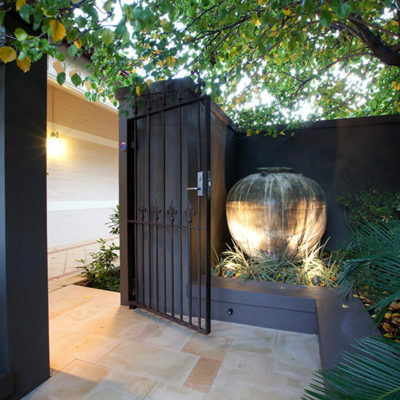 The front entry is in keeping with the streetscape with its tough beachside planting and compacted limestone pathways. 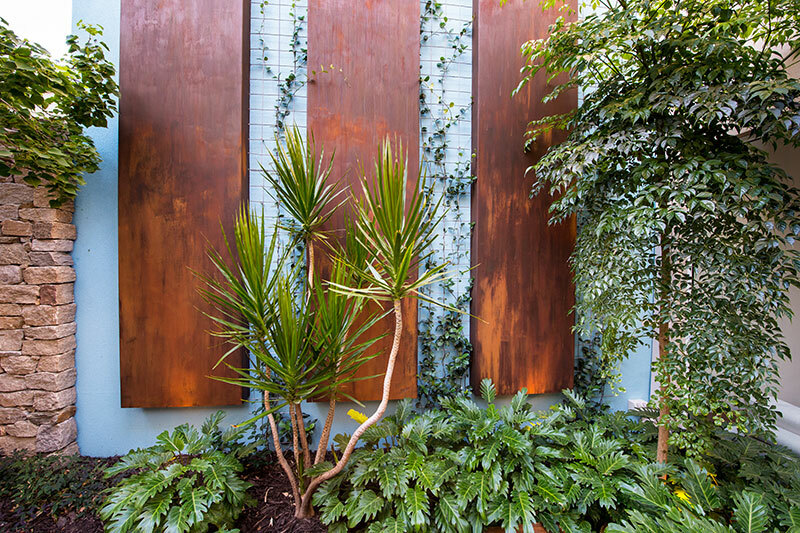 The central courtyard has soaring corten steel panels to address the equally tall adjacent parapet wall. 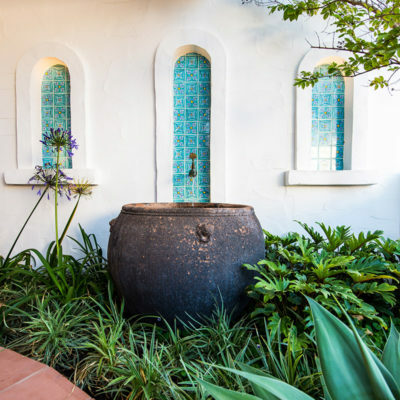 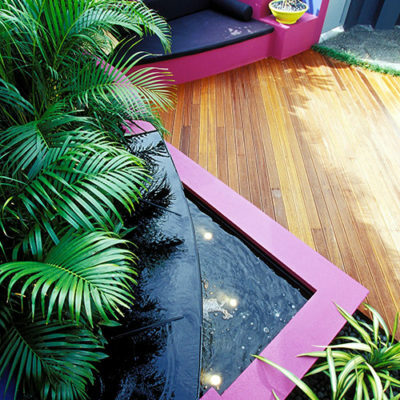 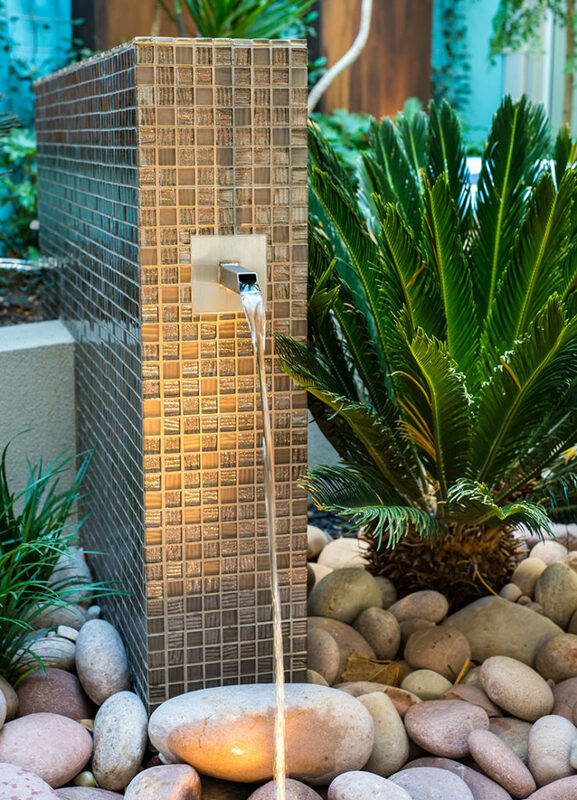 The tiled blade water feature spills into an invisible reservoir disguised by large washed river stones. 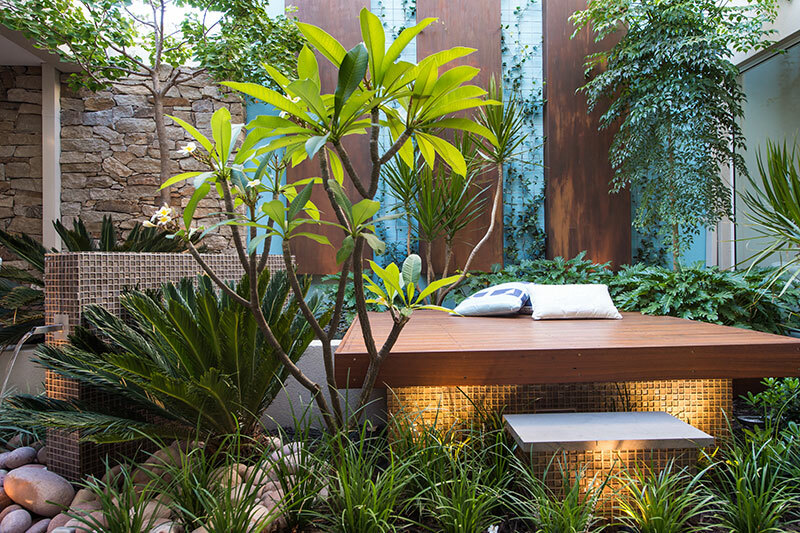 The square lounging platform is designed to capture a slice of winter sun. 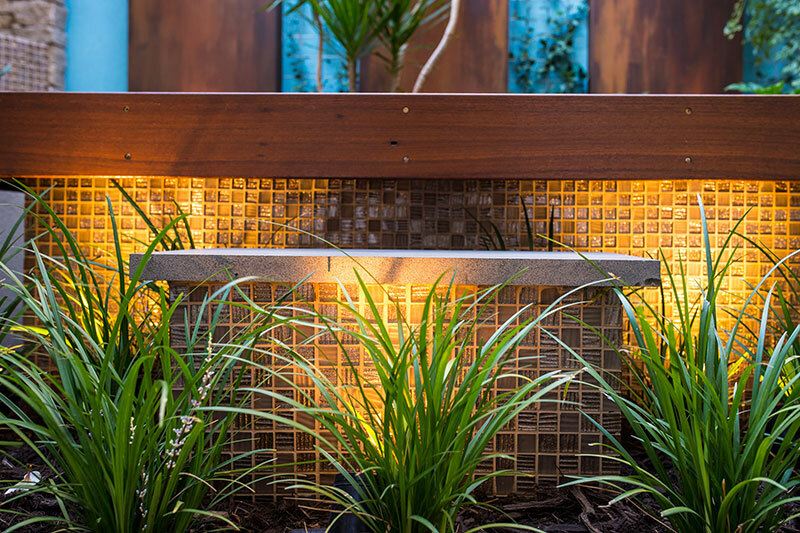 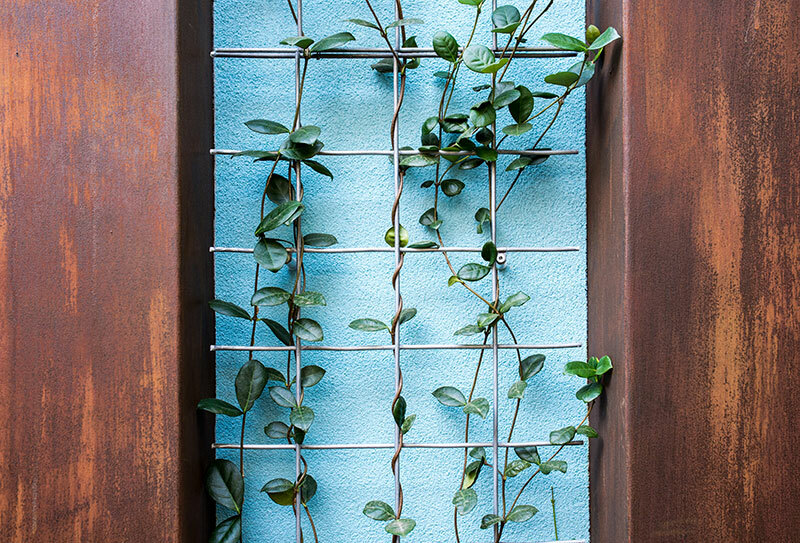 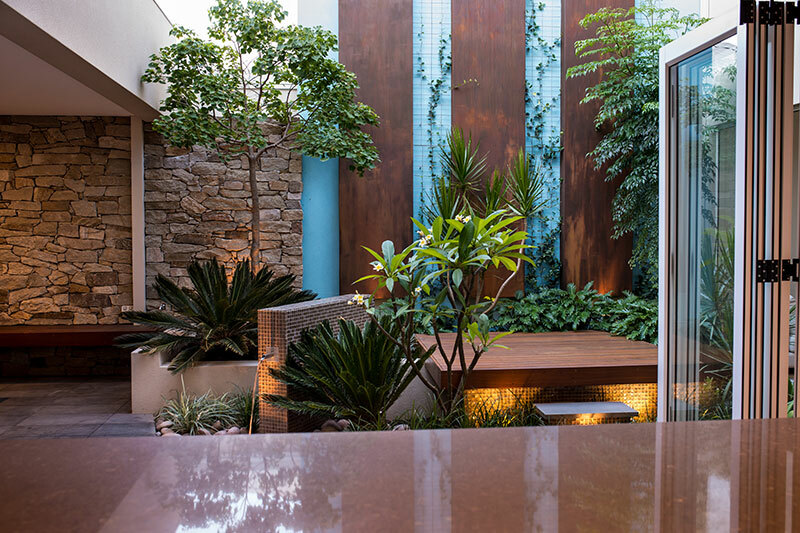 The well-designed lighting illuminates the corten panels and other significant elements in the garden.